This past fashion week, there was one hue we couldn't help but notice, not only because of its inherent vibrancy but also because it's not a color you often see people wear. The color (in case you hadn't already guessed) is red—bright, bright red. 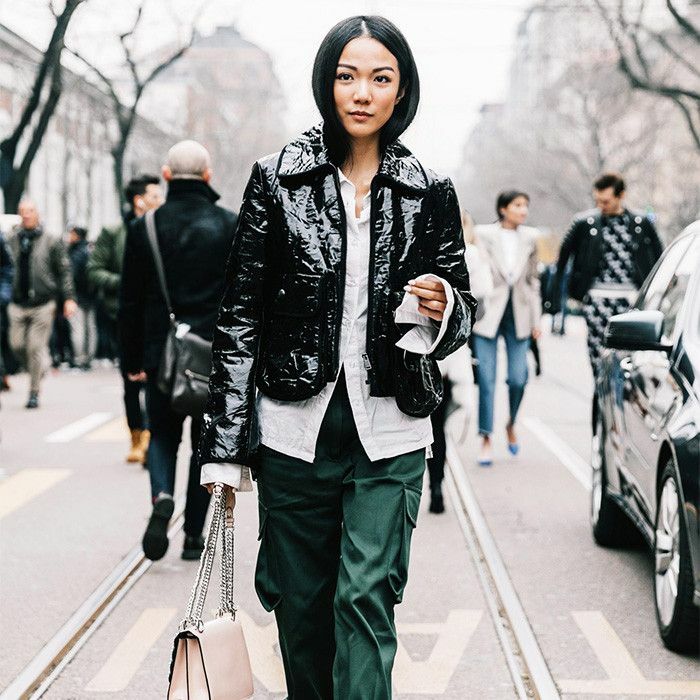 The color has been psychologically proven to inspire passion and confidence in the workplace, and fashion girls are taking its magical powers to the next level by wearing it to the office and beyond. Since it's a shade that commands attention, the color can often come off as intimidating, and sometimes, you might not be up for that. However, the fashion community has taken a stand to prove that women everywhere should try this rich color. 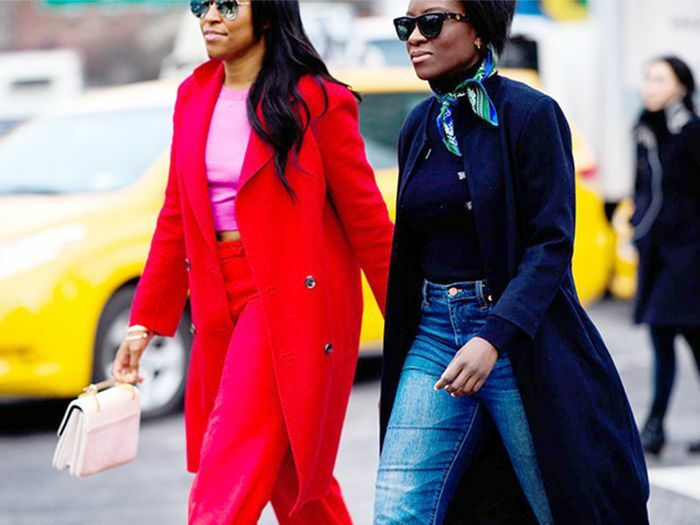 Whether you choose to carry a simple red bag, wear red ankle boots, or step out in a full-on red look, this trend is one that can transform your outfit. In case you are still weary, the plethora of gorgeous street style images and our shopping roundup ahead will convince you. Keep scrolling to see the color in action, and shop our favorite red pieces. Layering a dress over your jeans is an easy way to create a forward look. Add a pop of color to your outfit with bright red booties. Tone down a statement jacket and bright dress with casual sneakers. Vibrant outerwear is a great way to stand out in a crowd. The Attico girls make this trend look so cool. Juicy tracksuits are back, baby. Contrast classic items like a button-down with streetwear-inspired pieces. These tights broke the internet during fashion week, and we can see why. We love red, but we love white accessories just as much. Dress down an elegant evening wear piece with a cool graphic tee. Note how this red jacket completely makes this look. Are you on board yet? Everything about this look is perfection, from the layered turtleneck down to the fishnets. The women in our office can't get enough of these shoes. Wear this dress to the office and beyond. How adorable is this tiny satin bag? It's starting to look a lot like summer. Come on fashion girls, we know you're itching to try this trend. Does this top come in other colors? If so, we want them all. These pants will be crowd-pleasers, guaranteed. These timeless shoes will only get better with age. The perfect blend of athleisure and tailored. Asymmetrical earrings are currently all the rage. We have this thing with sleeves. Grab this great sale item before it's too late! Swap your typical black leather jacket for this bright red one. This is the perfect hoodie to layer under everything. You won't regret having this dress hanging in your closet. Up next, check out spring's most popular denim outfit that looks good on all body types.